When they say plants need attention to grow well, they didn’t mean this kind of attention. 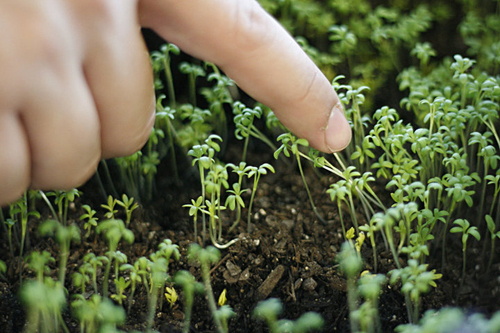 Meet Eater is a plant that thrives not on physical human contact, but engagement from social media instead. 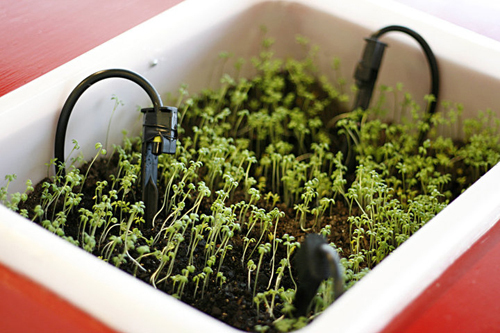 The project, initiated by Australia-based designer Bashkim Isai, has a plant rigged to an automated system that waters and supplies nutrients whenever comments are posted on its Facebook page. The idea behind, according to the Facebook page, is to introduce “both physical and virtual levels of interaction” that raises the plant from a mere object to a “creature”. That you can befriend over the internet. And Meet Eater is even equipped with a voice, so visitors to the plant at the University of Queensland will get to hear it purr and make other animal-like noises. For those crying foul over the use of a plant in this social media experiment, worry not. 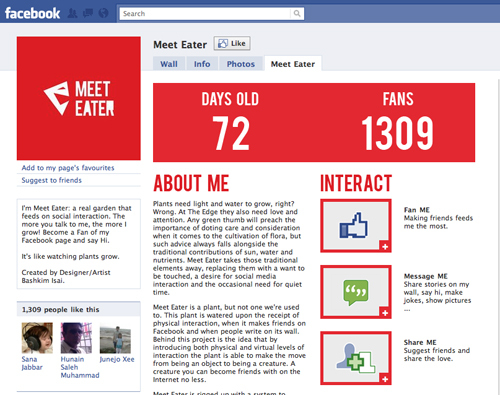 In just 72 days since its inception, Meet Eater has over 1,300 fans on Facebook. Looks like this plant won’t go thirsty for a long time yet.